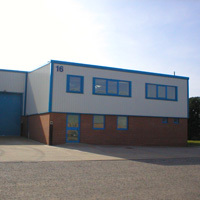 Youngs Industrial Estate at Stanbridge Road, Leighton Buzzard, provides 19 purpose built modern industrial units. The estate was subject to a total rebuild which was completed in 2006. The industrial estate is ideally positioned in the south midlands with easy access routes to the North as well as Greater London. The estate is located within 20 minutes of junctions 11 & 12 of the M1 motorway and Milton Keynes is easily reached within 30 minutes via the Southern Bypass. Click here to check our current availability at Youngs Industrial Estate at Leighton Buzzard or call us on 0118 981 7166 or click here to contact us.